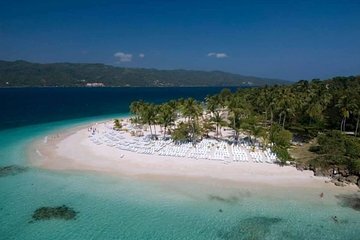 Skip the expensive flight to Samana; book this tour that travels via bus and boat, adding just a few hours in travel time. Depart Punta Cana on an air-conditioned bus, bound for the Samana Peninsula, where you will explore Samana Bay and Bacardi Island (Cayo Levantado) by boat. This all-inclusive experience offers drinks, snacks, and educational commentary from your guide.